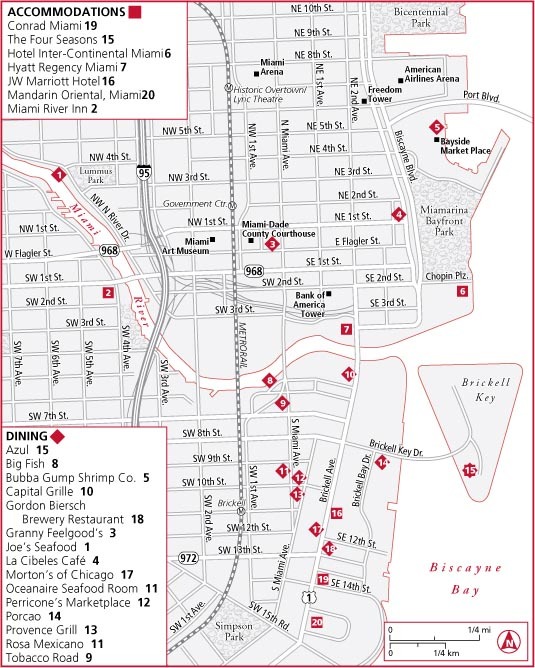 We are providing this Map of downtown Miami so that our guests staying in our South Beach vacation rentals or any other Miami lodging may find their way easily. Downtown Miami is attracting area to visit it offers great shopping experience with the Bayside Mall. The superb American Airline Arena is also located there and guests will undoubtedly enjoy concerts and sporting events that are being held there throughout the year.